No matter what age you are everyone seems to enjoy a good cupcake. 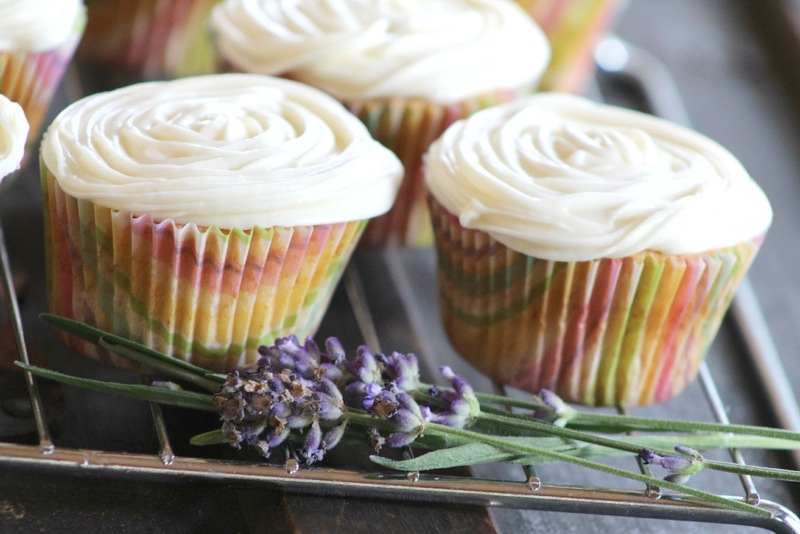 Although I would never turn down a good funfetti cupcake, I was headed to a party and wanted to bring along cupcakes with a unique flavor. 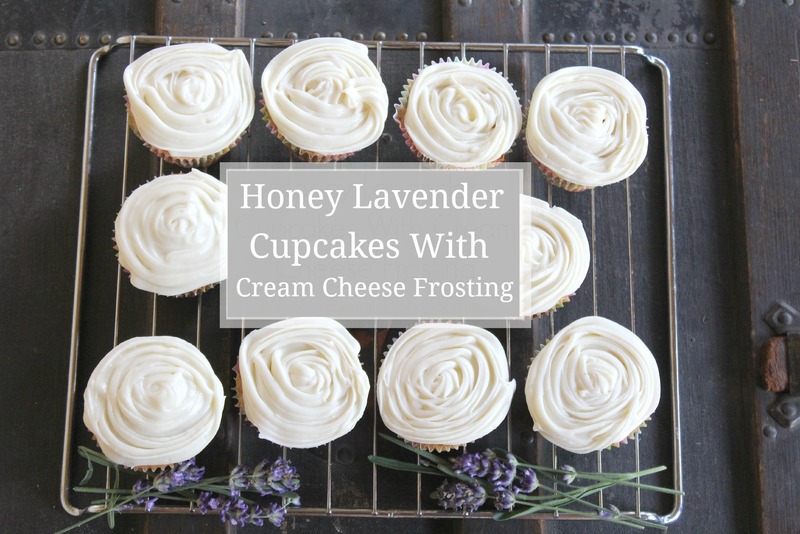 Last year I made theses tasty Blueberry Lavender Muffins and since lavender is one of the only successful things growing in our garden this year, we thought why not incorporate it into a sweet treat! So what else better to do then turn to the good old web (thank God for Pinterest) and came across a recipe from better homes and gardens and decided to put a twist on it. Preheat oven to 350 degrees F. In a medium mixing bowl combine flour, baking powder, lavender, and salt. Set the dry mixture aside. In a large mixing bowl, with an electric mixer, beat the butter on medium to high speed for 30 seconds. Add in sugar, honey, and vanilla. Beat together until ingredients are combined. Add in one egg at a time, beating well after each time you add one. Alternately add in your dry mixture, and milk, to butter mixture. Beat together on low speed after each addition only until the ingredients are combined. In a lined muffin pan, spoon batter into each section filling them about half way. Bake for 16 to 18 minutes or until an insert in the center comes out clean. Cool cupcakes on a wire cooling rack for 10 minutes. In a large mixing bowl beat together the cream cheese, butter, and vanilla on medium speed until light and fluffy. Gradually add in 1 cup of powdered sugar at a time, beating together after each addition. Continue to beat the ingredients together until you have reached spreading consistency. 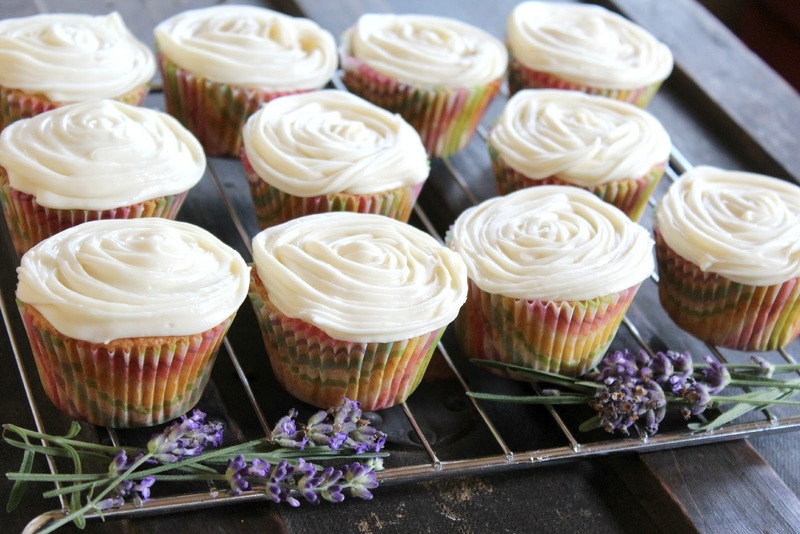 Once your cupcakes have cooled completely, ice them with the cream cheese frosting.